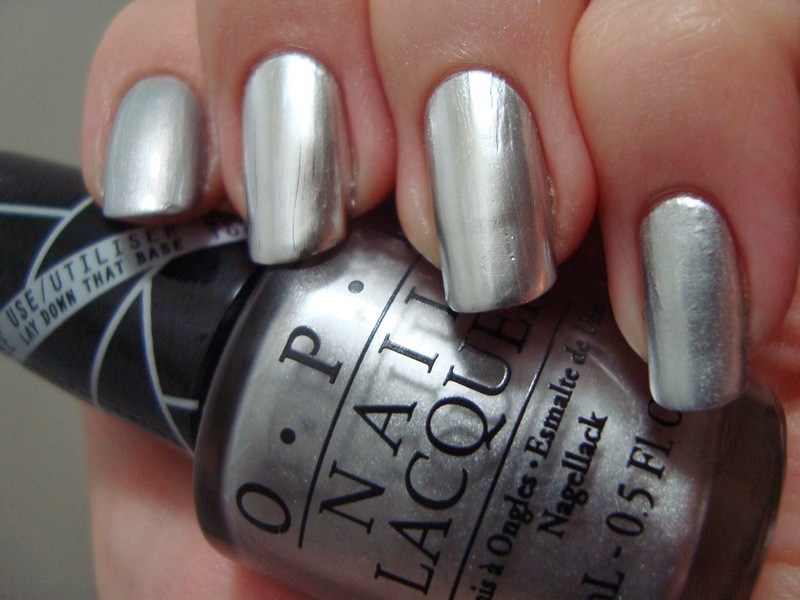 There's something about silver polish. It's retro-futuristic, bold, and empowering. It's always been one of my favorites, and that goes double for chromes. 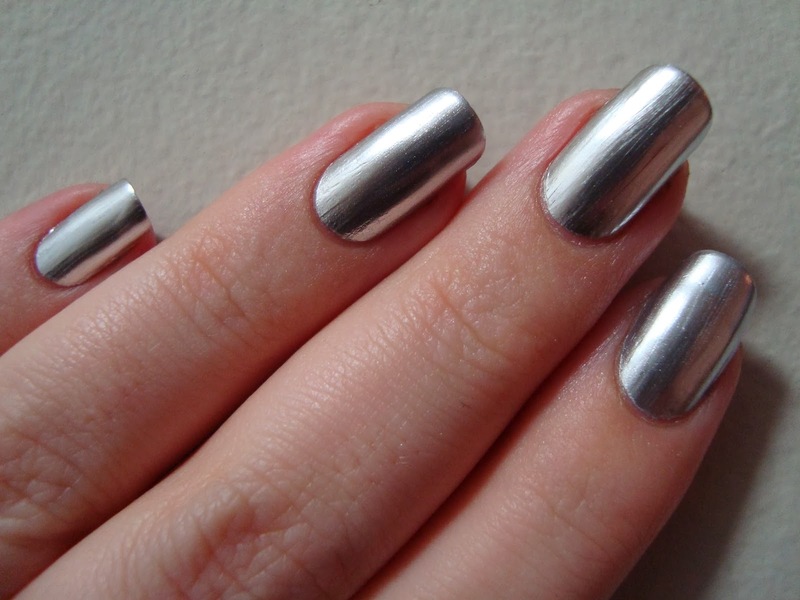 Back around '00, I remember strangers stopping to ask me what my polish was whenever I wore Sally Hansen Titanium Chrome. That might be why silver is my "power color". Two years ago I was lucky enough to find a bunch of Maybelline Mirror Image sets and I honestly couldn't imagine another polish ever beating it...or even comparing. 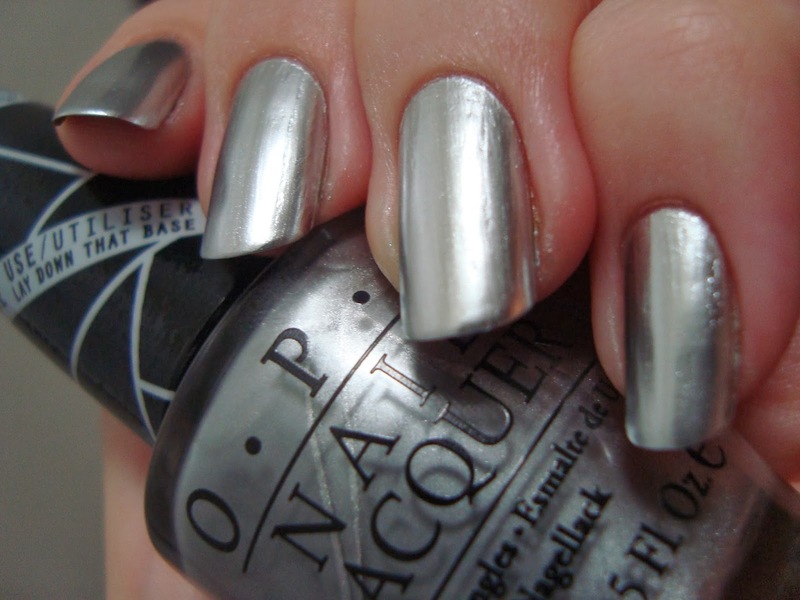 When I saw that OPI was putting out a silver chrome polish as part of its collaboration with Gwen Stefani, I knew had to buy it just to see how it stacked up. 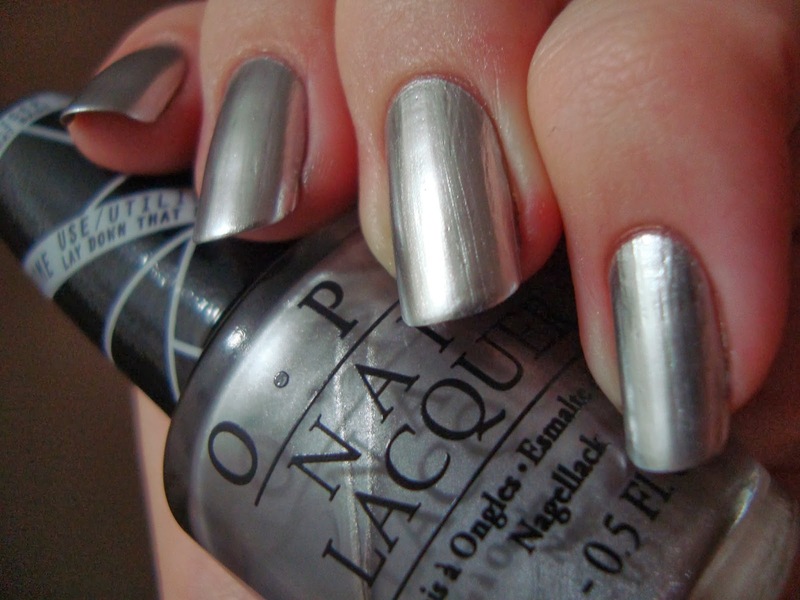 I tested Push And Shove against Mirror Image, Titanium Chrome, and Essie No Place Like Chrome...swatches first though! 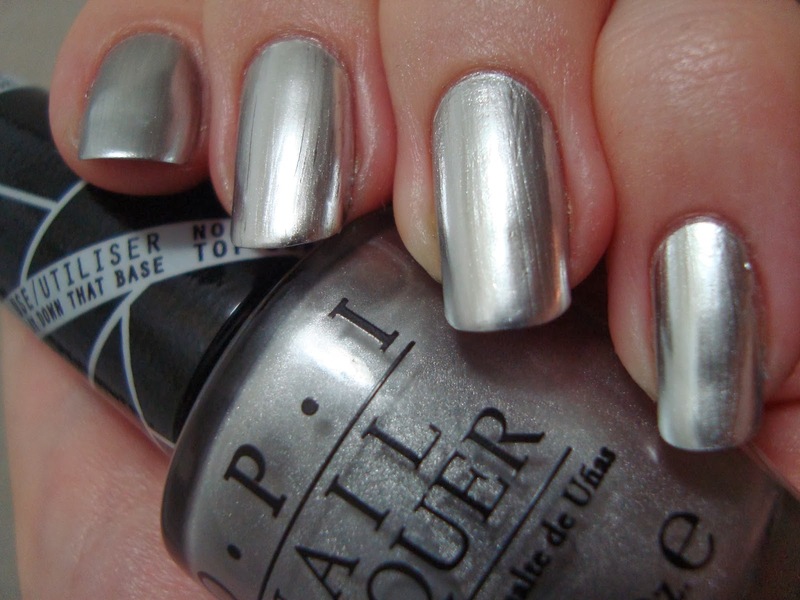 Push And Shove is a reflective silver chrome. Wow! Push And Shove is obviously going to give Mirror Image a run for its money. 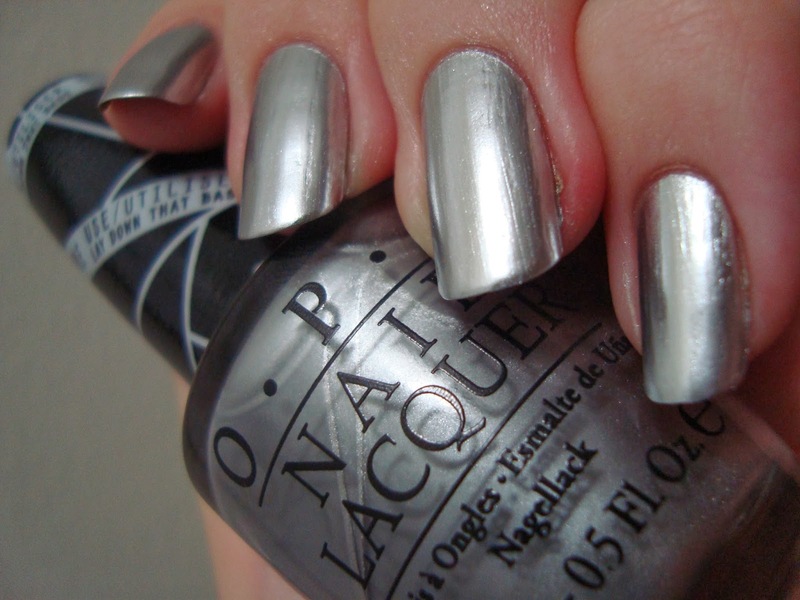 Like the classic Maybelline chrome, Push And Shove comes with a special base coat. It's called Lay Down That Base and isn't at all what I'd expected. It's clear and thin, without any ridge-filling properties. The instructions say to apply a coat and let it dry before applying two coats of Push And Shove. It dries quickly, but I really wish it was thicker. It shows every ridge and dimple in the nail surface. On the positive side, it doesn't show as many brushstrokes as some chromes. I think that's the point of Lay Down That Base...I guess. Since the second coat applied more easily and evenly than the first, I decided to break the rules and apply a third. It really makes a difference! With a third coat it's much more reflective and shows fewer nail flaws, though I think it's got slightly more obvious brushstrokes. I'll absolutely do three coats next time...though I might use a different base. My bottle pose doesn't really show the finish in full effect, so before we move on to comparisons, let's look at it another way. It's obviously got a great mirrored finish...but is it as good as Mirror Image? ...and what about other chromes? At this point we're really just checking to see how superior Push And Shove is. It's so close to Mirror Image that it's gonna blow other chromes away. 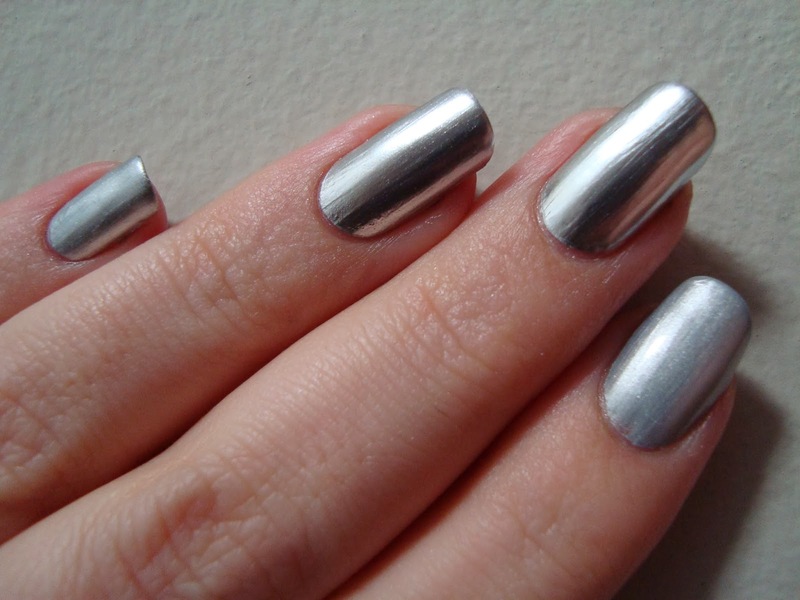 Wearing Sally Hansen Titanium Chrome for the first time in years was a real eye-opener. This used to be impressive? This?? It really drove home what I've known for a long time, we really have come a very long way in the past few years. 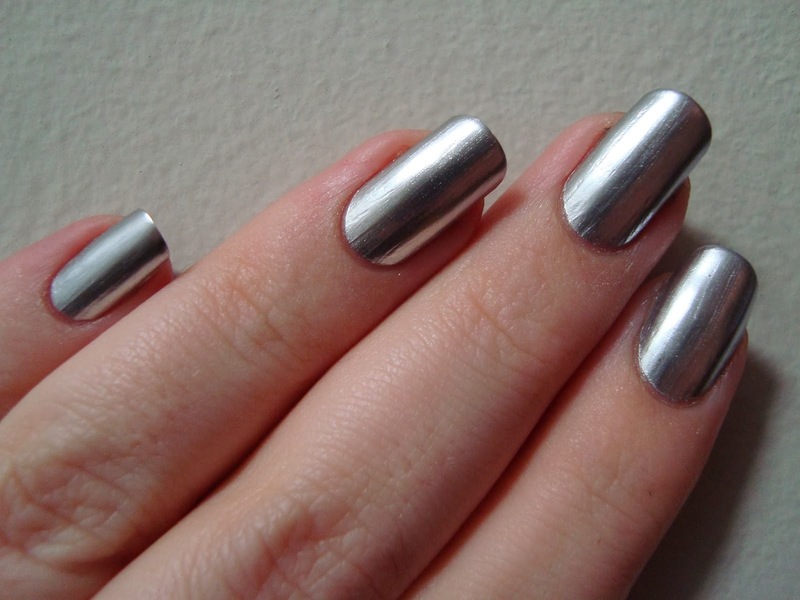 Essie No Place Like Chrome is like a midpoint between Titanium Chrome and the really reflective ones. These two really don't even begin to compare to the other two. Not by a mile. Bottom line: I'm really impressed! If Push And Shove came with a smoother base coat, it would be just about perfect. Sadly, Lay Down That Base doesn't do a thing to smooth the nail. The result is like wearing shiny clothes. Every bump and ripple gets magnified. I'm gonna have to play around with different bases to see if I can bring Push And Shove to its full potential. It's snowing here again as I'm writing this. As much as I don't love pastels, seasonal allergies, mud, etc, I think I'm actually looking forward to spring. Weird. I've heard that seche vite as a base works really well for this. Have you tried it yet?